You are here: Home / Articles / Italian Fest coming up!!! The third leg of the bocce triple crown is right around the corner! This tournament is probably your second to last chance to play big time outdoor bocce this year. So don’t miss it! Teams of 4 … so if you want to play but need teammates You Are Not Alone! Let me know so I can help you find others who are also looking for teammates. Where: Bocce courts are located in front of Syracuse City Hall – 233 E Washington St, Syracuse, NY 13202. Parking is located in front of J. Ryans – 253 E Water St, Syracuse, NY 13202. This is a 4 on 4 tournament played inside a court, on grass, all players much roll each shot. Games start at 9am and will go until 3 or 4pm-ish if you win the whole thing. I suggest having at least one player show up at 8:30am to register their team. 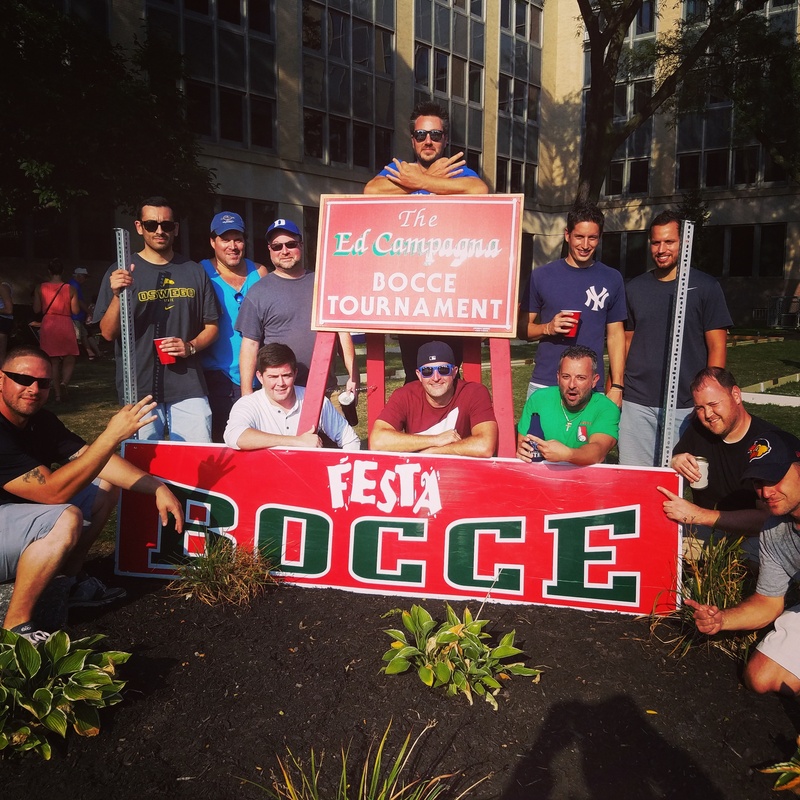 The 1 on 1 tournament, the Turbo Bocce playoffs, and the Italian Fest make up the Syracuse bocce triple crown. Win any of these three tournaments and everlasting glory is yours! Choose who will be your team captain ahead of time, each team needs a captain and only the captain can question the officials calls. First place team wins $200. Second place team wins $160. Third place team wins $100. Look at all those happy money winners. And that’s just from last year’s tournament! Last year we won 1st, 2nd and 3rd place and took home ALL the money!! Lets do the same this year … and would it kill you to win 4th place as well? ?